jang, hulk from marvel super heroes lego theme has stormer xl's big chest plate, make a vergis rhey XL!!!! and did you know that the summer 2012 story line has been changed to the doom box, and breez and thornraxx are a part of it, it takes place during breakout. Vergis Rhey isn't lime green. He's the darker green that appeared in the Green Lantern set. That's the only concern. OR he could remove the printing from SXL's chestplate and use that. And the summer 2012 thing didn't change, it's just a part of the Breakout storyline. who said hulk was lime green? im pretty sure he could use the chestplate to make a vergis rhey xl. Nice moc. I've just recently discovered your various blogs and think your MOCing skills are amazing. I'm still going through all the old stuff and have yet to make an account, but when I do I'll probably be commenting a lot more here. Please do one for Blanko JANG. Awesome! How many more Hero Factory Racers will you do? You said you were almost done with HF Racers... before you finish can you do Blanko on a tricycle? Yeah like I clearly said, the entire main concept here was that Alba's car was completely 100% unexpected and the full-on polar opposite of what everyone thought her style would be. It breaks stereotypes and reinforces the idea of not being able to judge a book by its cover. Some people (and robots alike) have the ability to think outside the box and use different shapes, textures, colors, and concepts. Not everything in the universe always "matches" based on our own personal preconceived notions. Gah, sorry about that. >.< Watching on my iPod that has broken sound. My sincerest apologies. It might just be that I haven't really seen this contrast used in this capacity before. An acquired taste, maybe? Also, the innovation you described there fits in with Alba's character- what I believe you described as "spontaneous ingenuity" on the original creation. So it might just take a while to get used to such a drastic difference in style, but I'm fairly sure that it'll come eventually. Oh no need to be sorry, there's nothing wrong with not liking something! 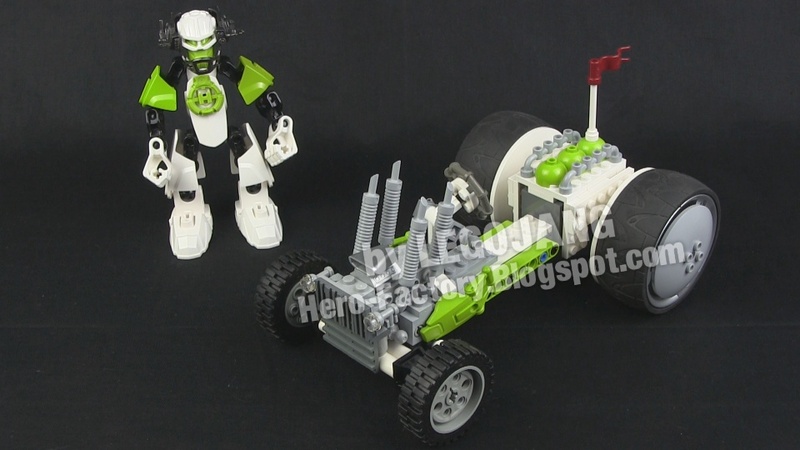 I was just pointing out why this MOC set is the way it is.